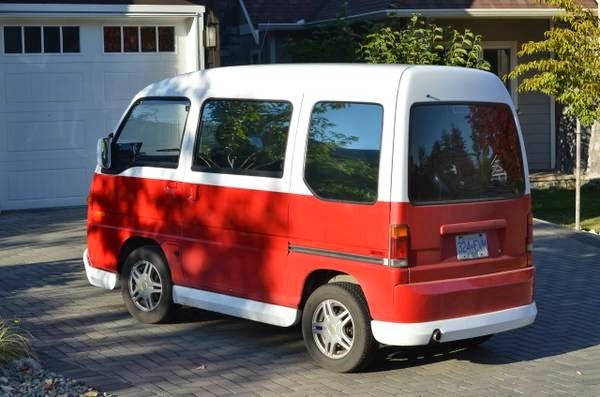 1991 Subaru Sambar for sale. 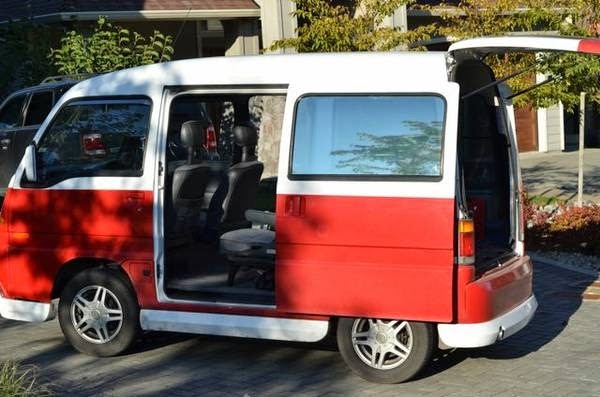 Totally fun and unique little vehicle! Runs great -- perfect for running errands. 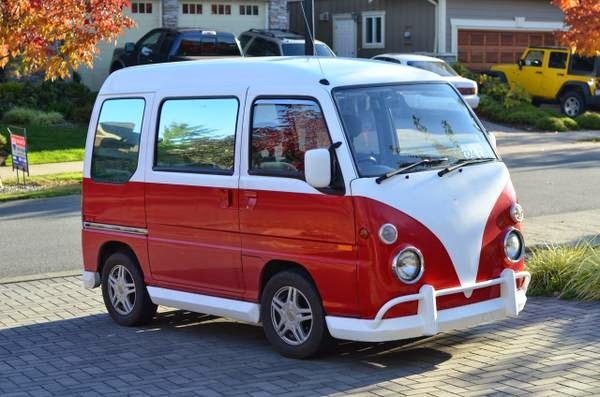 You will love all the utility of this little bus! It's also VERY notice-able and would be perfect for any small business -- this baby turns head wherever you go! Has push button 4-wheel drive for the winter months and 660cc 4-cylinder engine (in the rear) with 5-speed manual transmission. Imported from Japan 7 years ago. Great little runner and totally spacious on the inside - you wouldn't believe the things we've fit in there! Sliding passenger doors on both sides, plus the rear hatch opens. Passenger seats fold flat to create a ton of cargo space. Upgraded to larger R13 tires for a nice ride.